A team of talented & dedicated yoga teachers & facilitators supporting your yoga progress to optimum health. Mariana discovered the practice of yoga in 2012 thanks to a very gifted, knowledgeable and generous yoga teacher. And so she began to experience and trust the transformative power of yoga. 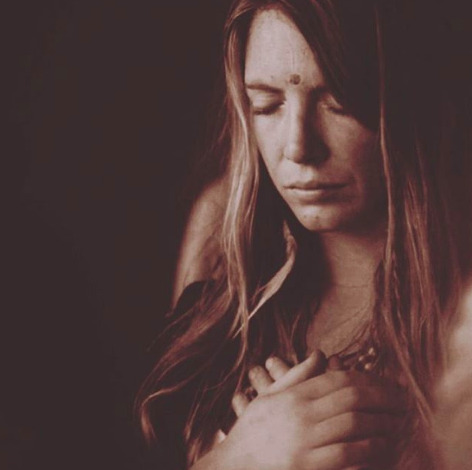 Ever since, many changes in her life happened including a yoga teacher training in Sivananda Yoga in 2014, quitting a corporate carrier and the decision to dedicate her time to teaching and practicing yoga. Her activity now includes teaching in several yoga studios in Bucharest and managing a personal yoga platform (together with a friend and yoga enthusiast) that makes this practice friendly, accessible and down to earth for her urban citizen humans in Bucharest. Mariana has and continues to develop her yoga knowledge through yoga trainings, workshops and studies in Europe, India and Bucharest where she resides. She organizes and/or participates in yoga events, yoga retreats, yoga festivals and has been a yoga teacher trainer for a yoga school in Romania. Most of all she is happy to be part of the dynamic growing yoga community in Bucharest now. She teaches in Romanian and English traditional Hatha yoga classes, Sivananda yoga, hot yoga vinyasa classes, yin yoga. Originally from Ireland, Rob is our current Yoga Resident Teacher at Akasha Wellness Retreat until the beginning of May. 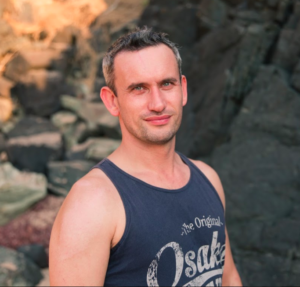 With a background in musical theatre, Rob has been teaching yoga for over 10 years. Having a passion for developing yoga and meditation workshops, and yoga classes both for adults and children, he has gained years of experience teaching students in both performing arts and yoga. Anna is originally from the UK and will be the resident yoga teacher at Akasha Wellness Retreat from May until July 2018. Over the last 6 years she has delved deeper into her own yoga practice soaking up inspiration and knowledge from a range of yoga influences. In 2017, she moved to Spain to embark on a 3 month Intensive Self Practice Exploration at Suryalila Yoga Retreat Centre with Frog Lotus International Yoga Teachers. She then traveled to where it all started, India, to complete her 200 hour Ashtanga and Vinyasa Flow Yoga Teacher Training at Sampoorna Yoga, Goa. Arezu is a lifelong Yogini, she began her meditation journey at the age of 5 and started practicing Kundalini Yoga with GuruSingh by the age of 7. No surprise she broke the record at the age of 14 for qualifying as the youngest certified Kundalini Yoga teacher. Upon completion of her degree in International Affairs and Humanitarian Studies, Arezu returned home to Los Angeles and followed the words of one of her teacher’s, GuruSingh, “love your work and you will never work another day in your life.” dedicating her life to helping individuals through their personal yoga journey to connect within, unleashing their own passions and building a life of purpose. Her brand, InspireZu, is all about finding ways to inspire one another through mind and body practices. She emphasizes working out as well as working in. She is also a Personal Trainer, Boxing, Aqua and Zumba Instructor but yoga remains her main focus and passion. She now teaches over 11 different modalities of yoga from Kundalini to Core Power to Restorative; however, she is most known for her trademarked fusion class, “Kundalini Core Flow” which combines most of her lineages as well as her popularized, “Brain Boosting” workshop. 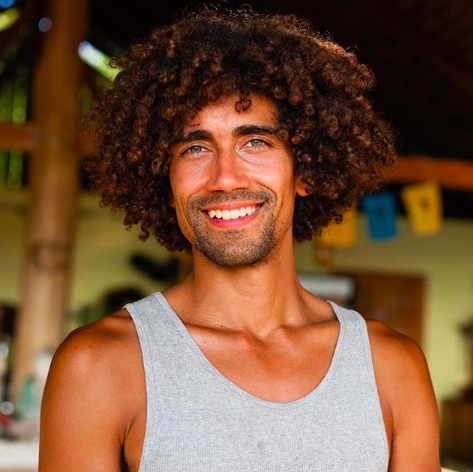 Alex Rodriguez is passionate about sharing as much knowledge as he gains, pursuing a way to learn as diligently as he travels and teaches. Soon after Alex graduated with his 500-hour certification in March 2014 he was invited to assist on yoga teacher trainings where he specialized on pose alignment and teaching methodology courses. After furthering his yoga education, Alex offered classes of Vinyasa/Hatha, Yin, Restorative, and aerial yoga theories and sequencing. Furthermore, he is passionate about calisthenics, using that as a method to help students maximize their physical potential. 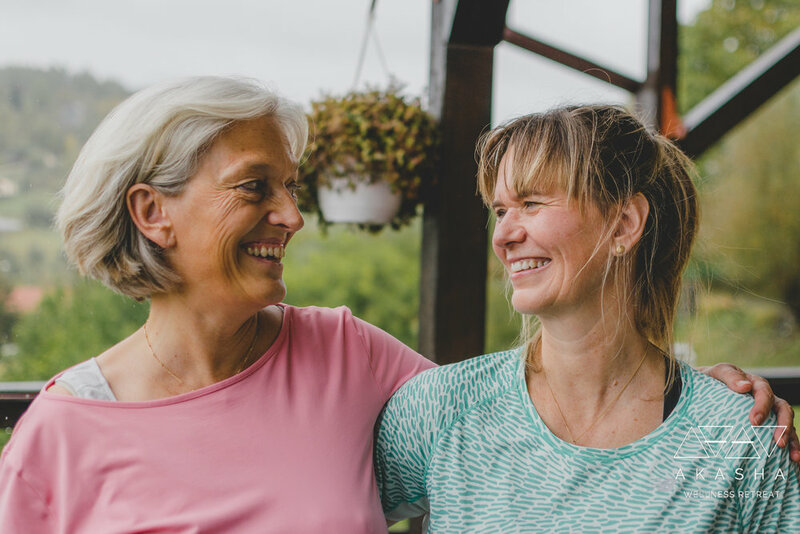 Alex has traveled the world, teaching yoga in healing and retreat centers throughout Central America, Southeast Asia and Europe, eventually finding a piece of home at Akasha Romania. Practice Yoga with Alex on the Costa Rica Akasha Escape - April 20 - April 27, 2019. Kate’s love of health, wellbeing and working with people drew her to holistic massage therapies. She has qualified as a therapist 14 years ago and worked as a Spa Therapist at the Cowshed, Babington House amongst others. Inspired by this, more training naturally followed – reflexology, reiki healing, Dermalogica face mapping and Ashtanga Vnyasa flow RYT200. 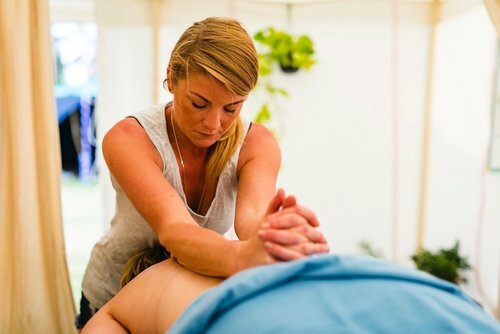 Kate has also worked at a number of music festivals across the UK providing body treatments and therapies and been part of the wellbeing team at Obonjan festival in Croatia. She has also worked on yoga retreats in Ibiza providing a range of therapeutic body treatments for guests. She is a member of Yoga Alliance, Federation of Holistic Therapists and VTCT member. A dream team for solution focused coaching & personal development, Petra & Liselotte bring their programme to Akasha. Their coaching practice is based on a deep trust in the recourses and (undiscovered) potential of our mind and wisdom of the body. As Solution Focused coaches and facilitators they support individuals, teams and organizations to reach their full potential. Liselotte is a Solution Focused coach and facilitator since 1999 and she co-founded Ilfaro, a Belgian organization for coaching and training. She loves to work with people and be supportive in their journey to more Ease, Flow and Resilience. Together with Anton Stellamans she wrote the book ‘Resilient people, resilient teams’. Liselotte facilitates workshops on leadership, Solution Focus and Resilience and she coaches people using Solution Focus, mindfulness, energetic bodywork, movement, heart-coherence and breathing practices. Petra & Liselotte 2019 dates to be announced.